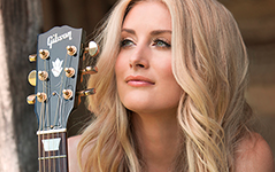 Stephanie Quayle has a way of incorporating relatable storylines into all of her songs. I love that because no matter what song you’re listening to, and no matter how many times you've heard the song, it is easy to stay entertained and engaged. Stephanie has made a lasting impression on all her listeners with her new album “Love The Way You See Me” which was released earlier this year. I can’t wait to head to the Waterfall Stage on October 17th to see her perform live. Stephanie is sure to deliver a special experience.